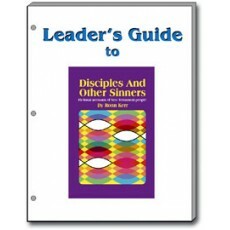 A comprehensive 100-page leader's guide to the popular Disciples and Other Sinners Student Book (Order No. 434). Loose-leaf, 3-hole punch format allows different chapters to be separated for distribution to different instructors. Each chapter contains substantive background information, many Biblical references, and a variety of teaching suggestions and discussion starters. With this extensive leader's guide, the fictional material in the Disciples and Other Sinners Student Book becomes a platform from which students are launched into comprehensive and meaningful Bible study.